There have been a few things on my radar lately that I really want to buy soon. I have found some reasonably priced ones of these items online too, so I definitely can't wait until payday! So the first thing is a monogrammed necklace. I can't believe I don't have one yet! I found one online though for super cheap! Less than $70! I think that's a great price and I am very excited to get this because this is a must have in my closet. The second thing is the Nikon 1 Camera. I fell in love with this camera because it's the perfect digital camera, but it also has quality lens for good quality pictures too! This is definitely my next purchase! Perfect for the summer fun! The third item is L.L. Bean Duck Boots. I know that this is more of a fall item to want, but I have wanted these babies for such a long time now! Especially to pair together with a light sweater and leggings to make the perfect "Friday in the office" type of outfit. The last item is something that I would much rather receive as a gift, but if I have to buy it myself, that's okay too. 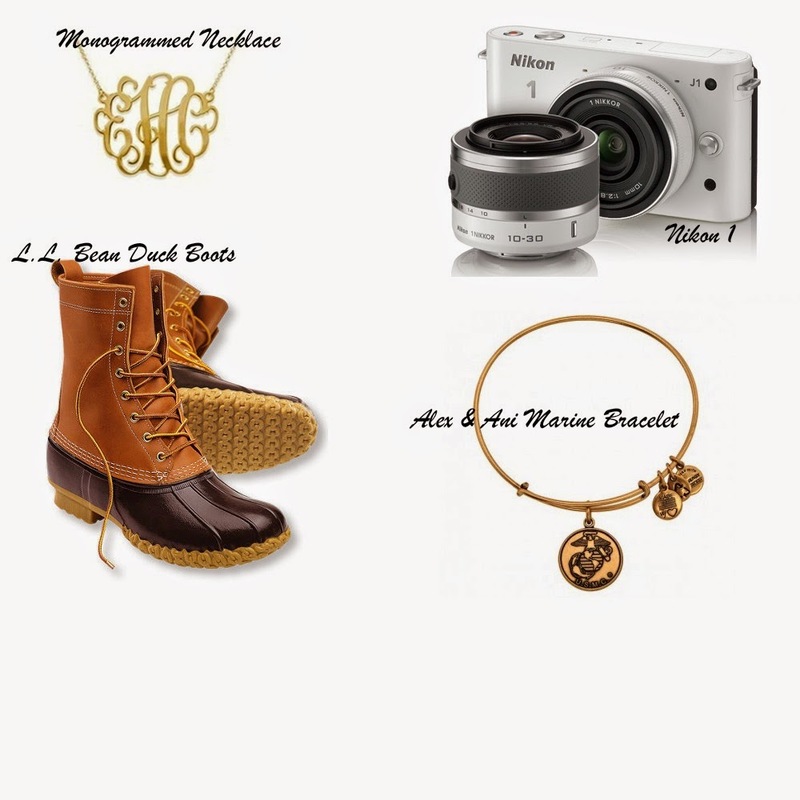 The Alex & Ani Marine Bracelet is something that I have had my eye on for over year now. I just love it, it's so classic and lovely. It would seriously make me think of my best friend and cousin every time I wore it. Semper Fi! These are just a few things that are on my lust list- what's on yours? Please Rise For The Class Of 2014!